The project comprises the construction of a deluxe finishing residential complex on a plot area of 3500 m2. 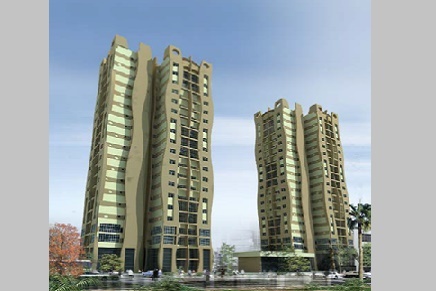 The complex consists of two towers containing of 132 flats with 79m2 area each. The complex has a one common basement for the whole area of the building for the use as a car park. One tower consists of ground floor, facilities floor and 17 typical floors and the other tower consists of ground floor, services floor and 16 floors. The facilities floor contains a swimming pool, gymnasium, sauna and creation area.